Hi again, foodie fellas! It is a beautiful sunny day, isn’t it? It’s Saturday afternoon and the Sun is shining bright with all its might, as April approaches its end. Speaking of April, the summers here are pretty rough and not to mention hot. When we are feeling helpless about the heat, again, food comes to our rescue. I prepare a variety of summer coolers during the hot days; Lemonde, Aam Panna, Chaas, Iced Tea and so on. Today you are all in for special a treat! I am sharing with you the recipe of one of the most iconic summer coolers, Lassi or Buttermilk! And to make it even better, it’s going to be Mango Lassi! In India, the mango season and summers go hand in hand. Mango is hot in nature and it’s delicious to add within any type of drinks. The best way to enjoy the King of Fruits is to combine it with something cool. What can be better than yogurt? 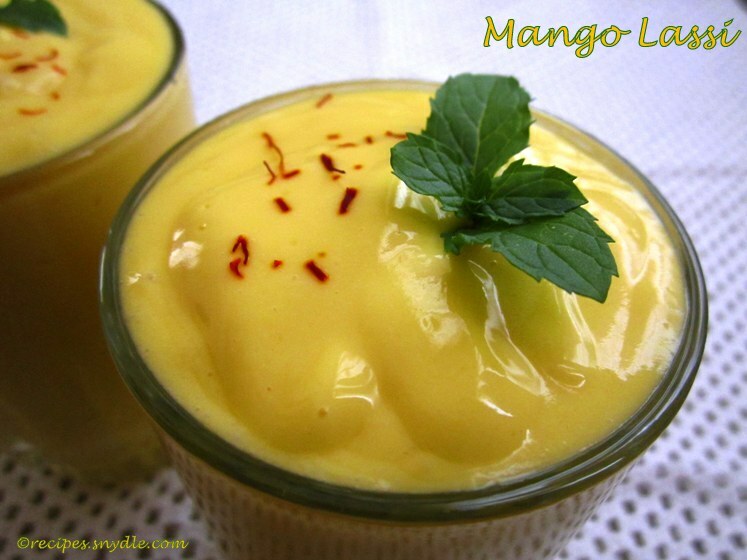 So for quenching our thirst and satiating our eternal love of mangoes, let’s make some mango lassi. This one is my Mom’s recipe and I am passing it on to you. 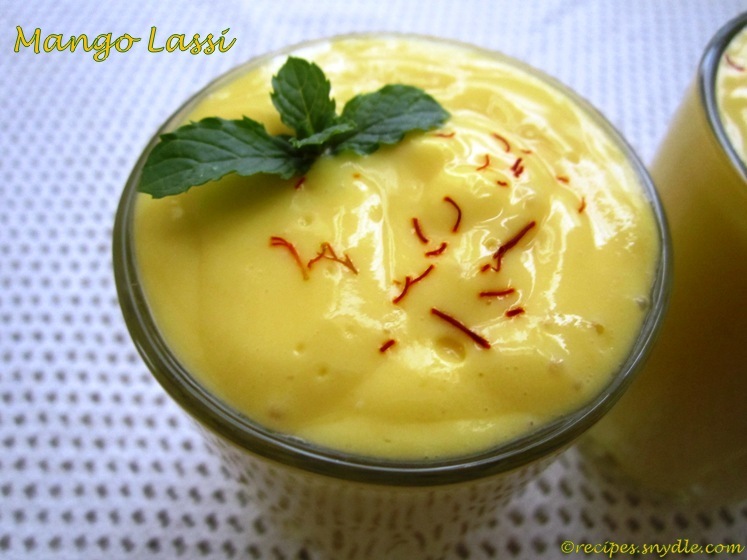 I think it’s the best mango recipe lassi you will ever come across. 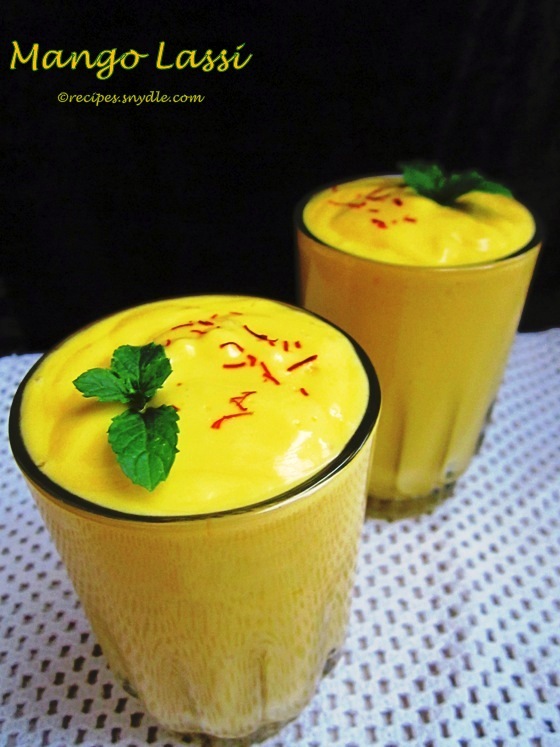 In this Lassi you will find the goodness of yogurt, the sweetness of mango, the richness of saffron and the delicate flavors of cardamom; what more can one ask for? This mango lassi has a very velvety texture. If You’re aiming to achieve that you need to use good quality of mangoes. I have used alphonso mangoes. The Kesar variety also yields good results. Make sure the mangoes are firm and do not have a stringy texture. Otherwise you would not get that smooth texture of the lassi. You can also make mango lassi with store-bought mango pulp, but the result won’t be as good. So, try using fresh mangoes. Now let’s start making the Indian Mango lassi. For the purpose of measurement, 1 cup = 250 ml. This recipe yields 4 servings. To make it healthier, you can substitute sugar with honey. You can adjust the amount of honey / sugar depending on the sweetness of mangoes and your preference. Use chilled yogurt. Adding ice will only make your lassi watery. Those who are watching their weight can certainly go ahead and use low-fat milk and yogurt. In that case, cut back the quantity of milk to half to achieve the right consistency. Start by warming up 4-5 tbsp of milk. Reserve 2-3 saffron strands for garnish. Add the rest of the saffron strands and cardamom powder to the warm milk and let it stay till the saffron releases some color. 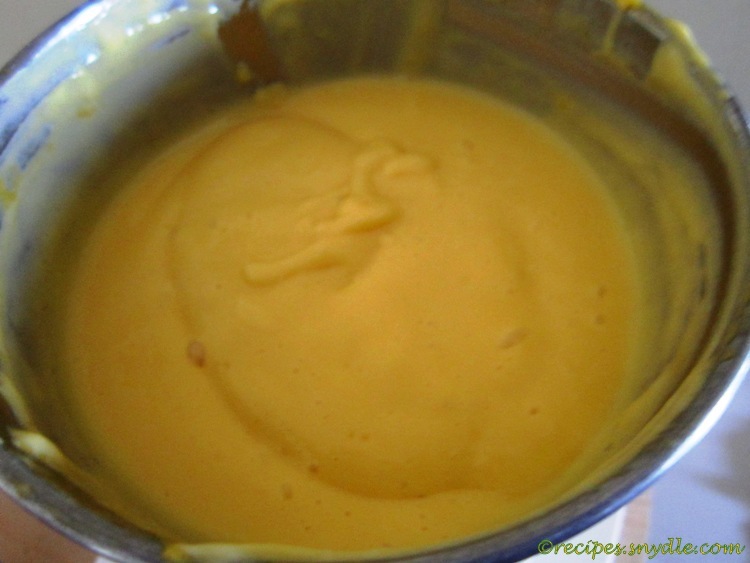 Now in a blender, take the diced mangoes, saffron-cardamom infused milk, the remaining plain milk and sugar/honey. 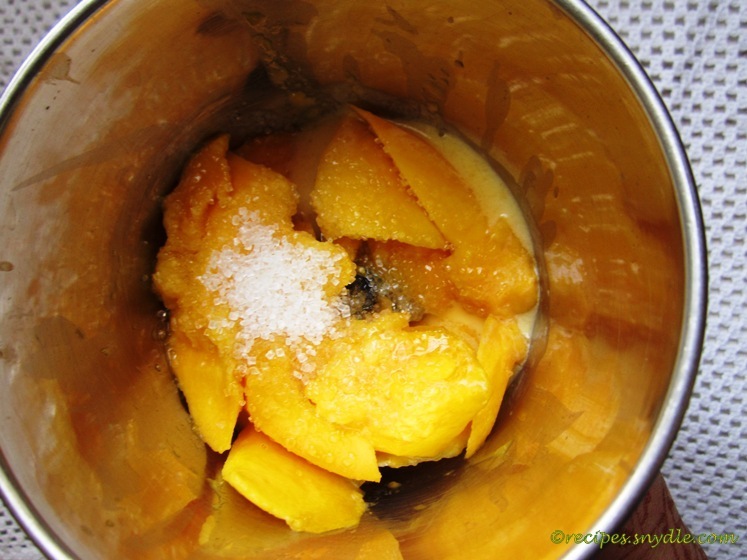 Grind the mangoes to a fine pulp, so that there are no lumps. Make sure that the sugar should blend in pretty well with the pulp. Add in the chilled yogurt and give it a quick pulse or use the lowest Whipping speed. We do not need to blend it more than a few seconds otherwise the yogurt will start releasing water. Serve the mango lassi is the glasses. Top it with a sprig of mint and a few saffron strands. Serve chilled. Enjoy!